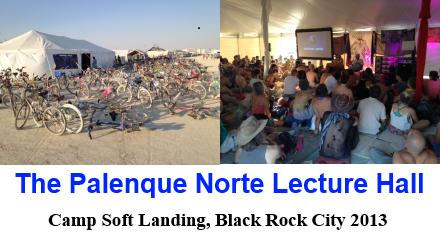 Today we travel back in time once again to the 2013 Burning Man Festival where Sarah Lovering gave a Palenque Norte Lecture detailing her work with the Marijuana Policy Project. It was MPP that led a coalition of cannabis activists over a several year period leading up to the legalization referendum in Colorado. Sarah not only explains how that campaign unfolded, but she goes on to describe the community’s long term plans for the ultimate legalization of cannabis in the U.S.
Posted in Burning Man, Cannabis, Culture, Education, Family, Future, John Gilmore, Palenque Norte, Sarah Lovering, War on Drugs.